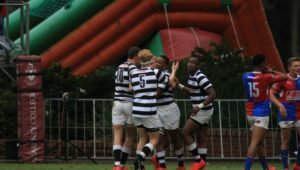 King Edward VII School got their domestic season off to a good start with a 41-27 win over Pretoria Boys’ High at KES on Saturday, writes THEO GARRUN. KES outscored the visitors by six tries to four in a game that was full of running rugby, if a little too loose. Both teams showed some signs of early-season jitters and will get better as the season progresses. Boys’ High had most of the territory and possession in the first half and the hosts were perhaps a little fortunate to go to the break with the scores level at 15-15. KES got the first score within the first five minutes when they rumbled the ball up from a 10m lineout, and mammoth tighthead prop Wayne van Niekerk crashed over for what would be the first of two touchdowns for him. 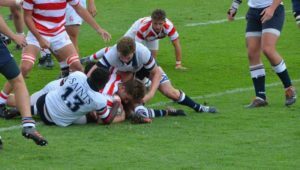 Pretoria Boys’ Justin Cross and Eulon Redcliffe of KES then traded penalties before centre Mikhail Edwards crossed over for the first of his eventual three tries. That made it 8-8, and winger Bradley Mayekiso went over under the posts five minutes later for a converted try, putting Boys’ High ahead for the only time in the game. Van Niekerk crashed over for his second minutes later, however, and it was all square at the break. KES came out storming after half-time and scored three unanswered tries, two by flyhaf Cannon Davies and one by lock Jushua Ruthel, which put them 34-15 ahead and cruising to victory. Edwards got his second shortly afterwards, but KES responded through their captain Lindo Ncusane, taking them out to 41-20. Edwards wasn’t finished, though, and he completed his hat-trick in the final minutes. This was the first leg of a traditional double-header between the schools, and they will meet again in the third term in Pretoria. Both sides will take positives out of Saturday’s encounter. 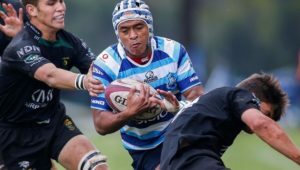 KES showed that the rolling maul can be a scoring factor for them this year, while Pretoria Boys’ have a backline that is going to trouble defences. KES have Parktown up next – at home on Saturday – before they take on Dale and Westville at their Easter festival the following week. 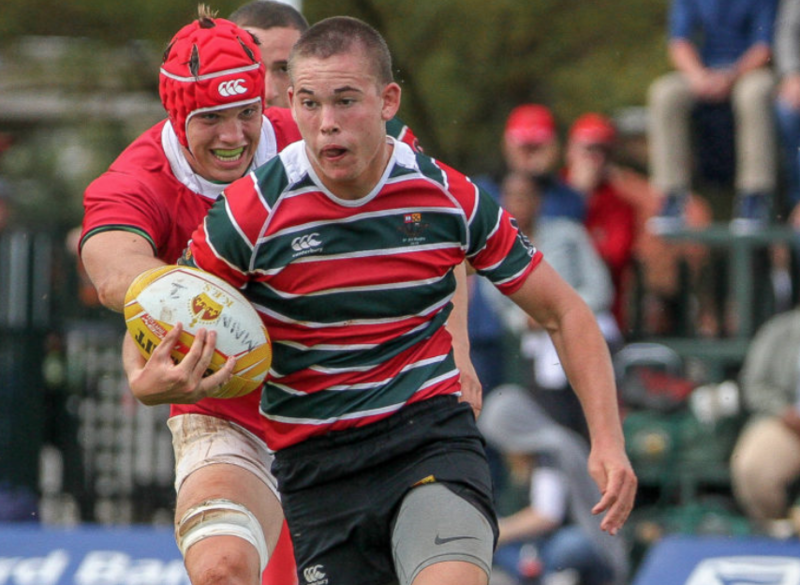 Pretoria host Maritzburg College next weekend, before facing Kearsney, Transvalia and HTS Middelburg at the Kearsney Easter Festival. KES – Tries: Wayne van Niekerk (2), Connon Davies (2), Joshua Ruthel, Lindo Ncusane. Conversions: Eulon Redcliffe, Connon Davies (3). Penalty: Redcliffe. 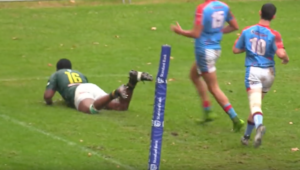 Pretoria Boys’ – Tries: Mikhail Edwards (3), Bradley Mayekiso. Conversions: Justin Cross (2). Penalty: Cross.